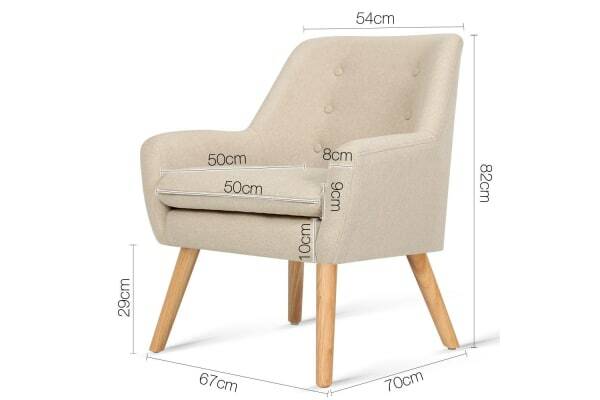 The Anne Armchair is a full size chair with generous seating space. 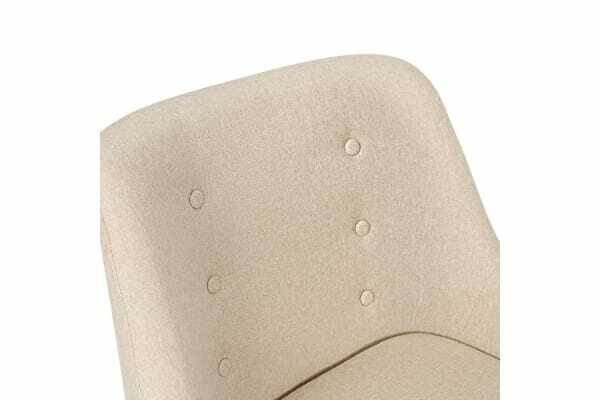 The extra thick foam padding ensures ultimate comfort with exceptional support while the tufted backrest adds an array of luxurious highlights to the overall character of the armchair. Together with a reinforced wooden frame and sturdy tapered rubber wood legs, the Anne Armchair is guaranteed to stand up to durable use for many years to come. 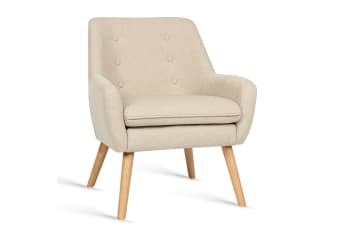 Not least, with its neutral tones, the Anne Armchair is a seamless match for any home decor.